Canadians are drinking at restaurants and at home more than ever before, so does this mean that the traditional neighbourhood pub could be a thing of the past? There are still many ways for budding publicans to carve out a successful business in the pub industry. The figures show over the last 10 years neighbourhood pubs are becoming a less popular place to drink, which means any entrepreneur who is keen to own a pub needs to be business savvy and aware of the current state of the industry. Young patrons seem to be looking for a more atmospheric experience, rather than an all-day hangout. The millennials are opting to drink at gastropubs or microbreweries, where you can interact more with a venue and experience something new, whether it be ordering sharing platters or cocktails, or going on a brewery tour. Gastropubs are attracting more patrons, which means publicans today need to up their game and offer something new. Trends in drinking have also evolved; in 2011, alcoholic drink sales grew by 4% in value and less than 1% in volume. More people are drinking wine – with 472 wineries across the country – and regulatory changes in certain state drinking laws aim to encourage wine drinking at venues. Beer has always been widely drunk throughout Canada; however, the types of beers that have had high sale figures tend to be craft, premium or low-calorie beers, as opposed to the standard lager. Many pub and bar owners are disgruntled by news the federal government is set to increase the tax on local and imported beer by 2%, starting in April 2018. The scheduled tax hike amounts to a 1.51% increase, which will then roll over every year in line with inflation. With a tax on beer in Canada ranking the third highest in the world, many pub owners are caught in the middle and forced to put their prices up. This discourages patrons and gives reason to why more people are having to drink at home. Another common challenge pub owners face is dealing with intoxicated or irrational customers, and preventing bar fights or aggressive behaviour. Every pub owner should have security or procedures in place to help manage these situations and advise staff on how best to handle any altercations. Finding well-trained, dependable staff can also be difficult, which is true for most businesses in the hospitality industry. Many employees don’t want to work unsociable hours and prefer to be on the other side of the bar; however, there are incentives and reward schemes you can put in place to ensure employees are reliable. Creating a positive work environment and focusing on employee wellbeing will also encourage staff to turn up for their shifts. It is vital to find out what licenses and permits you will require for running a pub; this will depend on which province your business is based. There are several types of liquor license applications that are available. Each of the countries 13 provinces and territories will have their own liquor board or commission that oversees distribution and the sales of alcoholic beverages. There have been recent bids to reduce red tape and tweak regulations to help support the industry, encourage new investment and maintain high sales in liquor stores and drinking establishments. 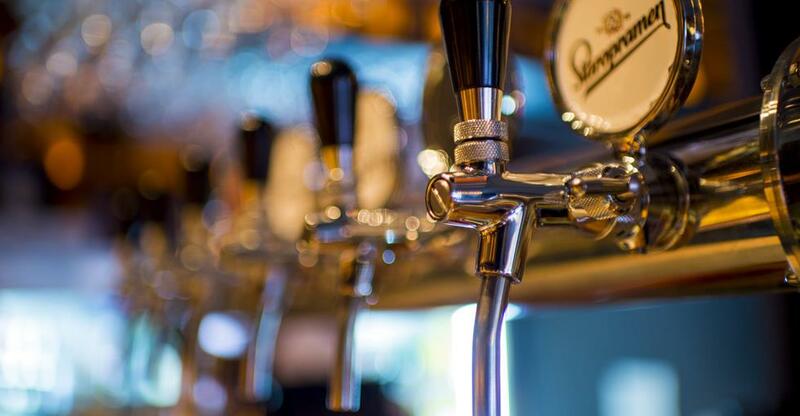 Buying a pub or bar can be a quicker route into the industry, and the venue will already benefit from having the right licenses and permits in place, which you can then transfer onto your name and extend. However, you must be sure to do your research before making an offer. You should ask yourself some key questions when looking to buy a pub; what type of pub do you want to run? Do you have capital in place to renovate or expand the business, or are you looking for a business that needs no outlay? Many entrepreneurs are keen to put their own stamp on their business; however, you could achieve this by introducing new products, such as craft beer on tap, or introducing a cocktail menu. It is also very important to know what other pubs, bars and restaurants are in the area to determine who your competition is. If the area is heavily dominated by eateries, it could be a good idea to fit a kitchen into your business plans and offer gastropub food; this would create a better playing field against any competitors.